Chileans are immigrants from the multi-ethnic South American nation of Chile. In Chile, as in other Latin American countries, the mixture of Spanish colonists with local indigenous people groups and other ethnic groups was the norm rather than the exception. The ethnic and racial self-identities of Chileans are highly fluid and can differ between persons of the same family, including siblings of the same parentage. The majority of Chilean immigrants to North America have come in the last 25 years. Many Chileans left the country during the the dictatorship of Augusto Pinochet. Many of the Pinochet-era immigrants were from the middle or upper class and arrived with advanced educations and well-developed skills. They had contacts with other Chilean exiles and a common sense of identity from their shared commitment to a democratic Chile. After a period of adjustment, many of them were able to pursue skilled jobs or professions. Since 1990, there has been another major wave of immigrants to the USA as many Chileans have come in search of economic or academic opportunity. Chilean Americans have been recognized for their excellence in the arts and as entrepreneurs, scientists and journalists. Chileans speak Spanish, and the majority are Roman Catholic, although there are sizable numbers of Protestant Christians. Pray for the gospel to continue to spread in the Chilean community. Pray for God to raise up Christian leaders from within the Chilean community to work in the harvest. 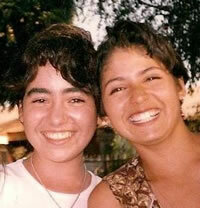 Pray for Christians in the Chilean community to start new churches and ministries.